A few weeks ago, I retold the sad tale of the late rhubarb meringue tart that met its end when it slid off the plate and managed to coat nearly every part of the open fridge I’d intended to put it into with smears of curd, puffs of meringue and crust of crumbs. Rhubarb, although not to blame, and I took a break after that, and it might had continued longer had I not been haunted by an Instagram commenter (hi!) who urged me to try my hand at a rhubarb cream cheese danish. I imagined the tart pink rhubarb against a lemony slick of cheesecake, enveloped in a puff of orange-scented pastry and I could not bear it. However, as I began researching danish dough, my interested waned. I don’t think it will be a bad project for one day, but all of that envelope folding and yeast and butter and carefully timed steps seemed a bit much for six to eight folded pastries that wouldn’t survive beyond the breakfast meal. And certainly not when it is finally high pie season, that blissful period from May to September when we in this hemisphere are lucky enough to have more fruit than we know what to do with. I’ve praised the hand pie on this site before, but as it’s been, woah, nearly five years, it bears repeating: hand pies are tiny packets of readiness for everything grand about summer — picnics, cookouts and barbecues. They are the ideal pie format for warm-weather entertaining and a dream (well, my dream, anyway) of a hostess gift, a pie that requires no serving knife, plates, forks or clean-up. They’re pie for dozens, their recipes easily scaled as you are not limited by the number of fluted Emile Henry’s you own. And, well, if you’re into that whole buttery-flakes-of-delicate-dough thing, you should quickly make an acquaintance with hand pies. Unhampered by six cups of a heavy macerated fruit, the two layers of crust that seal around the filling take to the sky, expanding like inhaling accordions, or honeycomb party globes, sprung forth from their cardboard confines. We are all for this. Now, I realize in the eight-zillion weeks it takes me these days to get a seasonal recipe from my table to yours, rhubarb season may have passed for many of you. Do just consider this recipe a template for whatever berries or stone fruit you’d like to cook until a bit pulpy (this helps the pies from becoming runny messes, a far less charming offense when they’re handheld and running down your arm, rather than spilling out onto a plate), comingle with cheesecake, and tuck inside a pie square you will be absolutely more welcome if you show up with a basket of. Hand pies are for crust lovers, as there’s a much higher proportion of them to the relatively small amount of filling than there is in standard round pies. Here, I use my standard All Butter Really Flaky Pie Dough (scaled 150%) but I replaced the water with buttermilk (plus a little extra, as it is thicker than water) for added tenderness, which is helpful when you want to bend and press your dough around a bulging filling. These pies are not terribly sweet; the rhubarb is tart and the crust has barely any filling. For this reason, feel free to really sweep the tops with a sprinkling of coarse sugar for contrast. The cream cheese flavor will not be strong here; there’s not enough of it, but we still enjoyed the contrast it provided. You can skip it, and just use more fruit if it’s not your thing. Feel free to replace the rhubarb with any other fruit that you’ve chopped and cooked down slightly. I take this extra step because runny hand pies are really no fun to hold, which defeats their purpose. Because my pies were on the small side, I had extra rhubarb and cream cheese fillings, but I wanted to give you a little cushion in case yours are able to handle a touch more. Happy picnic-ing! * The shapes of these pies were shamelessly inspired by these pretties on Tara O’Brady’s Instagram feed. In the past, I have made hand pies with round cutters, and folded the sides in half over the filling to seal into a half moon. I found that this “ravioli” shape puffed even higher in the oven, and required less rerolling of scraps, and am officially converted. Make pie dough: Whisk together flour, zest, sugar and salt in the bottom of a large, wide-ish bowl. Using a pastry blender, two forks, or your fingertips, work the butter into the flour until the biggest pieces of butter are the size of tiny peas. 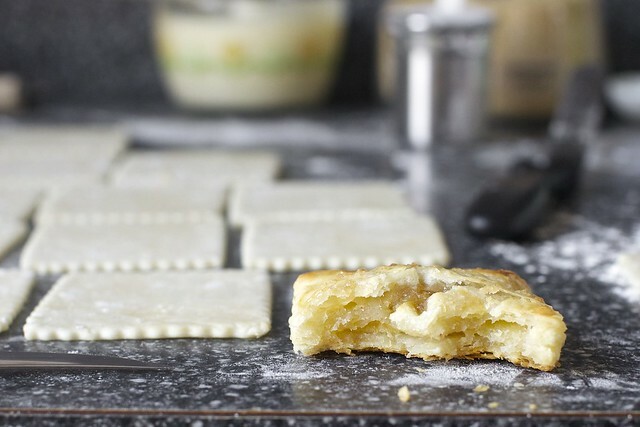 (You’ll want to chop your butter into small bits first, unless you’re using a very strong pastry blender in which case you can throw the sticks in whole, as I do.) Gently stir in 3/4 cup buttermilk with a rubber spatula, mixing it until a craggy mass forms. Get your hands in the bowl and knead it just two or three times to form a ball. If it doesn’t come together, add remaining 1/4 cup buttermilk, 1 tablespoon at a time, until it does, then gently knead again. Divide dough in half. Wrap each half in plastic wrap and flatten a bit, like a disc. Chill in fridge for at least an hour or up to two days or slip plastic-wrapped dough into a freezer bag and freeze for up to 1 to 2 months (longer if you trust your freezer more than I do). To defrost, leave in fridge for 1 day. 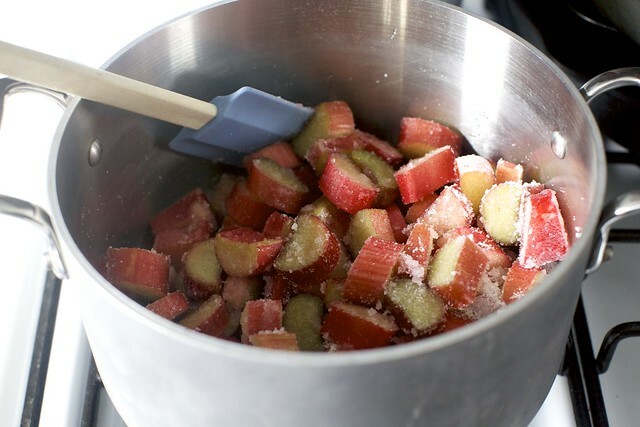 Make rhubarb filling: Place rhubarb and sugar in a small-to-medium saucepan with sugar and stir to combine. Cover and cook at medium-low heat for 15 minutes, no need to stir. 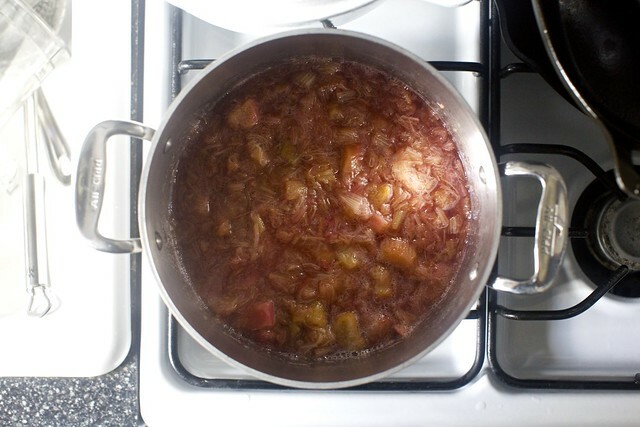 Increase the heat to medium, remove the lid and cook for another 10 to 15 minutes, until rhubarb is broken down and ideally thick enough that if you run a spoon across the bottom of the pot, you can see a trench quickly form and disappear. (No need to be overly fussy about this level of thickness, as a little wetter won’t harm your pies.) Spread mixture on a large plate in the fridge or freezer to cool quickly, then scrape into a bowl. Keep cold until needed; it will be thicker and easier to “scoop” onto the pie bases. 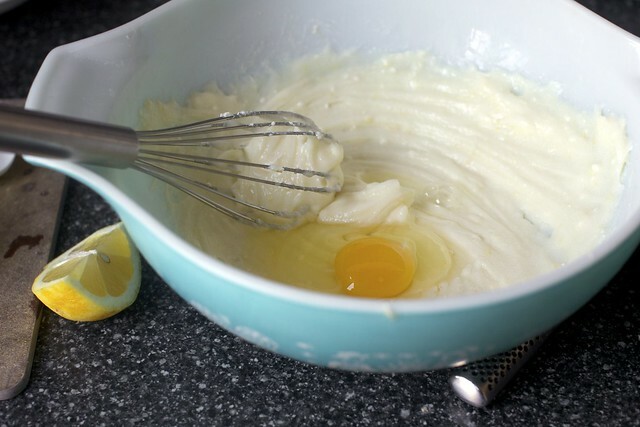 Make cream cheese filling: Whisk cream cheese, sugar, zest, juice and yolk together in a small bowl until smooth. Keep cold until needed as well. Assemble pies: Heat oven to 400 degrees. Line two to three baking sheets with parchment paper. Beat your remaining egg and 1 tablespoon water and keep aside with a pastry brush. Deb’s #1 Most Essnetial Pie Tip: No mushy pie dough! 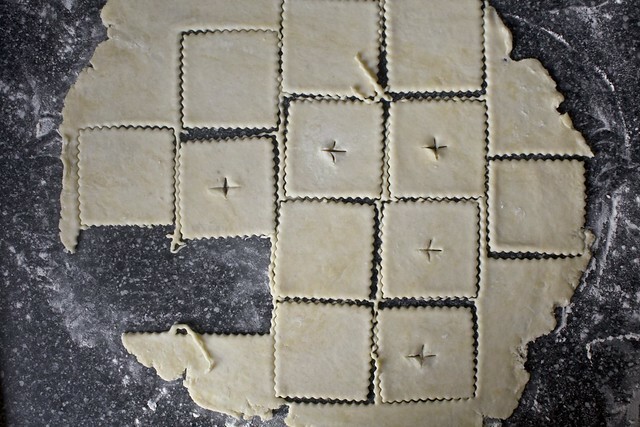 If your dough becomes soft (it’s a hot day or warm kitchen, aka summer) now or at any point in the assembly process, slide the dough squares onto a prepared baking sheet and freeze them for a couple minutes until they’re semi-firm again; it will make assembly less frustrating. Promise. Brush half the squares very, very lightly with the egg wash; these will be your bases. Cut a small vent in the other half of the squares; these will be your lids. In the center of each egg washed square, put a small dollop (a measured teaspoon) of cream cheese, then rhubarb filling on top. Be ye not tempted to fill them more as they become almost impossible to seal without leakage, and why should your baking sheet get all the good stuff? Top each filled base with a vented square. Press outer edge of top and bottom all around to seal with your fingertips; a fork will work as well. Transfer pie to a baking sheet, spacing 1-inch apart. Brush the tops with egg wash and sprinkle generously with coarse sugar. Repeat with remaining dough, including second half from fridge, and fillings. Bake for 15 to 20 minutes, until puffed and golden, and even more brown at edges. Transfer to cooling racks and cool to room temperature before serving. Okay, well, good luck with that. Just in time for Father’s Day! My dad’s favorite is strawberry rhubarb pie. Don’t you think strawberries would be happy in there too?? Thanks! fantastic looking! I wondered if you were inspired by Tara’s rhubarb danish, too? I’ll make these with strawberries instead of rhubarb – I am the only person I know who can’t abide rhubarb! sally — No, but they look stunning and I want to try that dough, maybe over the winter. I’m just reaaaally behind on posting this week;* these are from almost two weeks ago! Yum! I love rhubarb! I made cherry hand pies for our family reunion last weekend, and they were quite a hit. I made those half-moon shape, but these squares would be much more efficient to cut out. I’ll definitely try these! My ideas to remake them are revolving around slow roasting the rhubarb in the oven, they really turn delicious then. :) I have a project to make for the weekend. Thanks Deb! These look amazing! Can’t get enough of rhubarb right now! I love your hand pies. They are so much more portable than a regular pie yet have all the goodness…and everyone gets their fair share of crust! Like you said, people thing you’re a star when you take them anywhere. About the Danish; I have collected recipes and videos using the blitz method of laminated dough and have yet to give it a try. It looks so simple and the results appear almost as dazzling as regular Danish dough, but I just haven’t quite gotten the energy to go through the motions, yet. I’m getting close! Most excellent. These and the peach bourbon hand pies are next on the agenda! There must be something about this week, because your strawberries and cream biscuits were in pretty heavy rotation all last summer, and those roasted peppers with fresh mozzarella? I make them all year long, cracking open a pantry jar of roasted peppers in the wintertime. If this recipe is anything like those two, I’ll be able to make these in my sleep in no time. Sadly, I think we’re just about into strawberry season now, with last week’s rhubarb becoming a buckle. I’m guessing… Italy? And good luck with the flight. I highly recommend lots and lots of sticky notes. My now 7 yo LOVED the sticky notes when she was in preschool. Have a wonderful time! I just want to say these hand pies look incredibly gorgeous! Have a great weekend! Just wondering, if using buttermilk for pastry crust makes it more tender (and presumably gives it more flavor), is there any reason to not do that with a full pie or galette crust? I mean, other than not having buttermilk in your fridge. Anna — No, no reason. It makes the dough a touch softer, so that’s not always my goal with two-crust pies. But no, no reason. My go-to galette dough actually uses sour cream and a touch of lemon juice in addition to water. (I find it impossible not to nibble the dough.) I used a riff on it for my last hand pie recipe, but it’s definitely on the pillowy/soft side and needs to be re-chilled even more often. Ahh, the decadence of buttery, flaky pie crust wrapped around cream cheese filling and sweet fruit!! Delicious! My mouth is watering!! These look so adorable! I want them now. The pastry has always kill me.It remind me of Maggie beers sour cream pastry.These look great! Oh gosh, they are like little crackers of pie goodness! ahh this is love at first site. I am so going to bake these as I have some nectarine preserve right now. May be I’ll bake with some mullberry preserve too. Thank you for this beautiful idea. 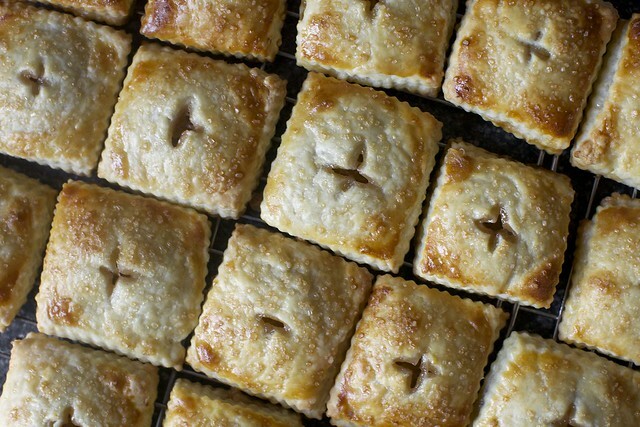 The next time you make pie, try the recipe on chezpim. It is amazing, the best I’ve ever had or made, and easy to boot. Bonus, no trick ingredients like vodka. These pies are going to be my best friends! These have jumped to the top of my “Need to Bake” list! They look perfect, just like mini Cuban guava cheese pastries. Yum! This looks amazing. Great recipe, thanks! And do try danish dough. I doesn’t take as long to do as it does to read the directions, and it is such a lovely and cooperative dough to work with! Oh man I was *just* thinking about how to make tiny rhubarb pies. Because I have had a serious yen for rhubarb, but I find pie tricky to pack for lunches…THANK YOU. Tiny pies! OM NOM NOM NOM NOM. The only problem is that it’s past rhubarb season here in CA–but I bet some roasted & pureed peaches would make a stellar alternate filling. This recipe seems to be great, can it be made with apples? love these! i just caught up on your blog today and lamented the loss of the first pie… so i felt so lucky to see a rhubarb success so soon! these pies look AMAZING and i can’t wait to try them out… i may have to hit the farmer’s market tomorrow and see what fruit i can round up. LisaR @ Who Stole My Baby? Deb, could I freeze these after filling and crimping but before baking? If so how long would they keep in the freezer? Kirsten — Yes, I meant to add that. I’d defrost them in the fridge for half a day before baking — not at room temp, as you don’t want that butter to mush the dough. As for keeping, I never know. Theoretically, months. In practice, as long as your freezer keeps things fresh and not freezer-y. For me, that’s like two weeks. Always looking for something to do with my spring rhubarb. This one is going to be popular. If you are looking to add texture to cooked rhubarb, finely diced crispy-tart apples go well. Granny Smith or Pink Lady are good. My favorite rhubarb crisp I usually do wtih rhubarb, strawberries and apples. Thank you for turning the other cheek with the rhubarb meringue. It’s due largely to your emotional altruism that we have this incredible post in front of us. Way to take one for the team! These are absolutely beautiful, and I can’t imagine the effort was not worth it. Once again, very well done! Thank you for making me these for my housewarming party. Not a single one made it to the next morning, we happily ate every single one. You are the bomb dot com. My small town has an event called “Rhubarb Days” and there is a baking competition (you have to use rhubarb). I have been deliberating for 3 weeks about what I should make for the contest. I even tested recipes, but I never found one I liked so I just made your strawberry rhubarb pie. I was really disappointed you didn’t give the rhubarb meringue tart another try, because I would have definitely made that. But I couldn’t find anything else, so I just decided to make a classic pie. Yes, although rhubarb season is finished here in CA, I am thinking that apricot and a bit of almond paste (maybe a little almond extract in the dough instead of orange?) inside these little hand pies would be scrumptious! Thanks for the great recipe. I am always checking your site to see what I might cook next. Well, goodness. Just a few days ago I cooked a bunch of rhubarb down to pulpy deliciousness, and we’ve been enjoying it in yogurt with granola (think breakfast version of rhubarb crumble with yogurt/cream). 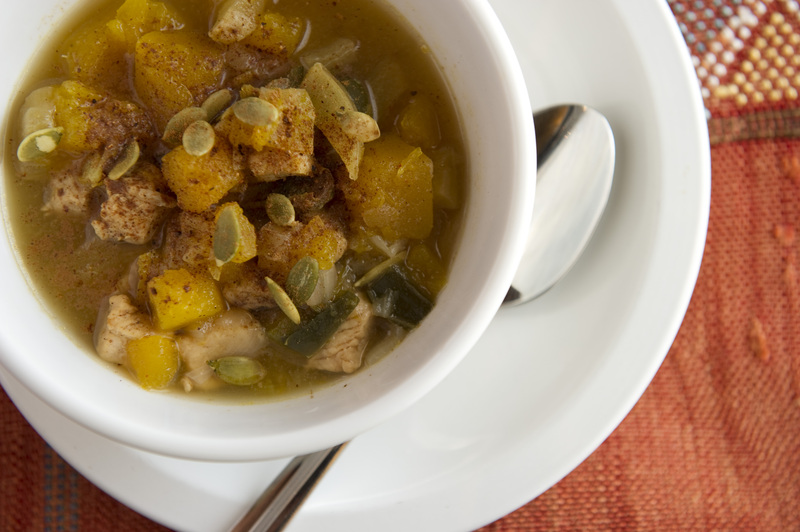 Since we’ve more of it lingering in the fridge right now, it’ll be perfect for this recipe! I love this recipe concept. Thanks, Deb. This looks divine! I adore rhubarb is desserts and think that is needs to be the treat I whip up this weekend. These look so so good! Now I probably won’t be able to stop thinking about them until (or even after) they’re in my mouth. Long live rhubarb season! These just look pretty. :) And with cream cheese in them they sound pretty too. Sorry about your rhubarb meringue…if you are ever in DC, try to get the rhubarb clafoutis at Sou’wester. A picture of it is here http://thesimpledelights.com/wp-content/uploads/2012/04/GCT6582.jpg (not my blog) and it is maybe the best dessert I ever ate. Hmm. I wonder if I could make these with puff pastry. I have no time or desire to tackle even basic pie dough right now, but I really want some of these! You are just absolutely the best. Rhubarb cream cheese hand pies? I just spent the last 5 minutes waving my iPad in my husband’s face, raving about you and your genius recipes. Smitten Kitchen forever. I moved to south Texas three years ago and was so disappointed to find out rhubarb will not grow here as rhubarb requires a certain number of days below freezing each winter. After living over 60 years in the Midwest I was shocked that something I loved and had taken for granted would be a high priced “gourmet” item, not an abundant backyard crop. I can buy frozen rhubarb at the grocery store,, but it won’t work for many recipes. I think I will try the frozen in this recipe. These look lovely. If I get enough rhubarb to make something besides the requisite rhubarb-strawberry crisp, I will definitely try them! If you get the urge to try making Danish, you might want to try Beatrice Ojakankas’ recipe from “Baking with Julia.” It’s made in the food processor, and, while you do have to make a few folds, it isn’t quite as labor-intensive as traditional croissant or puff pastry dough. http://beatrice-ojakangas.com/2010/03/much-requested-danish-pastry-recipe/ The book also contains her recipes for pastry cream and fruit fillings, which are cooked in the microwave. I made the Danish Braid many times for my grandparents, with apricot filling and pastry cream. I’m sure it would work nicely with rhubarb. Wow, these look amazing! My husband loves rhubarb and we just found a renegade rhubarb plant growing in our yard. I will have to make these for him soon. Would these freeze? They look and sound amazing, but I don’t think I’d make it through the whole recipe in time. Liss — See my response in comment #34. Deb they are just beautiful and the dough looks so flaky, layered and delicate. And buttery. I love the shape and I think this shape trumps circular or round as well! Both cosmetically and for less re-rolling of scraps as you said. So pretty! These are the cutest, love the square shape! You are totally psychic – I was planning on making hand pies next weekend, and was going to riff off of your old recipe but replace with a strawberry-rhubarb filling, and was wondering if I should cook down the filling. Can’t wait to make em! Are they best done the day of serving, or can I bake them the night before? These look fantastic! I love the ravioli shape. If you don’t mind my asking, where do you usually buy rhubarb in NYC? It’s one of those things that I’d love to use, but I never remember seeing at the supermarket. Specialty grocers? Whole Foods? Camp out before the Greenmarket opens and hope for the best? Hi Meg — Greenmarkets definitely have it for a while, and probably still now. I don’t find that they run out so fast, as I don’t think rhubarb is as popular as I singularly attempt to make it. ;) These photos are from two batches of rhubarb. The first ones were from Fresh Direct, the second from a market. Adorable! Love the idea of hand pies… just so cute! For the Danishphobe, I was going to suggest EXACTLY what Tracy suggested in #57-58, so, seconded! With enthusiasm! Beatrice Ojakangas knows her stuff. It’s not a traditional Danish, but it comes together in a snap and no one complained about it on Christmas morning: they were silent as they devoured it, a braid studded with almonds and pearl sugar. Highly recommended. I’d love to hear how those trying frozen rhubarb do…in the summer it’s way too hot to use the oven in our apt, but I would love to try these in the fall!! Oh man. I want some of these NOW! :) But alas, just diagnosed with Gestational Diabetes, so for the next 10 weeks I will refrain from making these puppies. But you better believe I’m pinning this for later, and will be freezing some rhubarb. Farmer’s markets here I come! All the best from sunny london! OMG…cutest hand-pies I’ve ever seen! Rhubarb is not my favorite but I’ll try them anyway with another fruity filling! Gorgeous! Seriously beautiful and absolutely delicious looking! Perfect timing for National Strawberry Rhubarb Pie Day on Sunday! :-) Posted this onto our Pinterest board as I definitely want to make these beautifies! very lovely recipe, the rhubarb in my garden is ready to eat, so this comes at a perfect time! These look incredible, I can’t wait to give these a whirl, perfect for summer! All I can think about now are pretty little pies with all sorts of fruity fillings, the pastry sounds amazing. Nice work! But maybe i forgot to read a line or sth but what do you do with the other half of the crust ? Is it needed for this recipe ? For Linda at #55. I grew rhubarb in Cape Town, where it never goes below zero. It does not grow as big as the Northern ones but is just as tasy. These look and sound delicious! I’m always looking for something new to do with yummy rhubarb! I’ve never had rhubarb and I’m dying to know what it tastes like. I use to hate pie until I started making my own and now I love it. I grew up on Sarah lee and never liked it. Hand pies sound super cute and perfect for my 5 year old pie eating monster. Oh Deb! This recipe and accompanying photos make me want to run to the market right this minute. Yum and thank you! Clearly tropical storm Andrea didn’t “dampen” your brilliance. Must get a fluted pastry wheel asap. Safe travels to mystery destination. He may surprise you and sleep most of the flight! Bon voyage. If I wanted to make these bigger — more like a Danish & less like a cookie — do you think this dough could handle it? Or did you make them this size because it’s the max? Two quick comments: First, it’s great to hear that someone else has difficulty getting a “seasonal” post out before the season is nearly over. I never seem to be able to do it. I’m told the big food magazines begin 3-6 months out, but that takes all the fun out. Besides, I don’t know how you test a recipe with ingredients that have yet to emerge from the ground locally. Secondly, if I’ve seen one rhubarb recipe this season, I’ve seen a dozen, but all of them left me flat until you posted these little beauties. They are inspiring, and I can’t wait to try them, rhubarb or no. What kind of buttermilk? In the Boston area we have low-fat and non-fat. Looking forward to trying them! Hi Beverly — I usually use lowfat, but think either would work. Aari — You could definitely make them bigger. I made them this size because I wanted to make more, and so that people could eat them in a few bites. You may want to bump up the filling amounts if you make a much bigger base; the yields are anticipating just a teaspoon or two of each filling in each. berit — Mine is definitely on the small side, but I can slide a 9×13 (quarter-sheet) pan in. I mean, not well. I just slide it on top of things, since I’m only going to have it there for a few minutes. If you don’t have room to slide a tray in, if your dough is getting warm, just slide the whole dough back in. You can use it either way, but it’s much much much easier to roll and shape the dough when it is cold. Using frozen rhubarb — Here, it will work. Freezing makes for slumpy rhubarb once defrosted. But, that’s what you want here, and why you cook it a bit on the stove (to release and evaporate the water inside and thicken the mixture) so it wouldn’t be a problem. I was lounging in bed thinking about the bumper crop of rhubarb up at my boyfriends land and then I find myself gazing happily upon this exquisite looking recipe. You are amazing! EverythingI have tried from your book and site has been stellar. OMG!! This is what I call heaven! Everything I love, cream cheese, rhubarb. No doubt that this recipe is a hit! This look awesome! I have this obsession with Rhubarbs but have never cooked with them….and am dying to experiment. This recipe looks so delicious! oh my, these look delicious. and i just got some rhubarb at the farmer’s market today and didn’t know what to do with it until now. perfect for my guests tomorrow. Maybe a sweetened cream cheese crust would be good along with the rhubarb. Or something else tart like apricot. I don’t care for rhubarb at all, but I got a big ol’ bowl of plums in my co-op basket today. Would you still suggest a pound for the filling, what with the juiciness? Ah, here’s why I love reading your blog even on the recipes I never get around to trying: sheer poetry! By the way, I have several rhubarb plants, and I find that if I let them bloom, cut down the seeding stalk, and let them dry out a bit, I can start watering them again in a month or so and get another flush of stalks. Maybe even another in fall. Too bad my partner hates the stuff (so it all goes to the local farmers’ market). I really love pies because of the crust (but not those doughy thick crusts…the tender flaky ones) and these just may be the perfect little pies. I will try these soon. Thank you! Just finished this recipe a few hours ago. I did 3 different fillings: strawberry, blueberry, and banana. They turned out awesome! I love the crust and the cream cheese filling with each of the fruit fillings makes the pies so much better. Awesome recipe! Made these little ruby-filled gems today and they are so good looking. Knowing I have a sweeter tooth, I upped the sugar everywhere it was mentioned and these were still not what I would classify as terribly sweet overall. They really are for those who adore crust, but sour fruity bite is just right. I did have to fight with myself not to overfill. I also left mine in my electric (yuck) oven for more than 15 minutes. Perhaps my crust wasn’t thin enough and took some extra time? Fun recipe to serve with a bit of vanilla ice cream too. 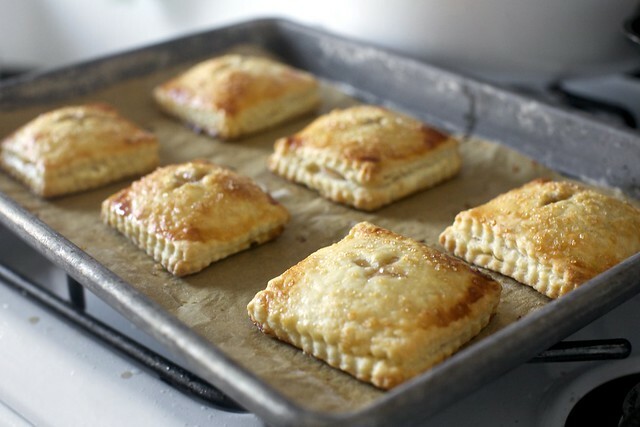 I love nothing more than your handpies – your peach handpie recipe, I always make with rhubarb, so I love this additions! :) Thanks. I just died. these are stunning! I’m a relatively new reader here, and am mainly posting to say thank you, Deb! Every recipe I’ve tried has been amazing, and this one is no exception. Does anyone (Deb or fellow readers) have any ideas for what to do with leftover filling? I’ve got loads of both the rhubarb and the cream cheese filling – I think I undefilled my pies, but I’m a crust person so it’s fine. :) I’m sure I can use up the rhubarb without too much trouble, but I’m not sure what what to do with the cream cheese. I make a lot of jam from the many fruit trees and blackberry bushes in my neighborhood. Would these hand pies be a good medium to use the jam? It seems like your rhubarb filling is practically jam, after all the cooking. What do you think? For Hannah, I’d suggest you swirl that extra cream cheese into some brownies! Another hand pie recipe! I just came from another site that made these. Love how different both looked but yet so delicious. I’m going to start working on a batch for brunch this Sunday. These remind of a recipe I loved as a child living in the Australian outback: puff pastry encasing a filling of sweetened cream cheese with dried fruit, sugar and vanilla. I love the ideas of using fresh fruit – it’s nearly summer in the UK so I’m thinking fresh peaches? Love hand pies, especially if they have got rhubarb in. Can’t wait to try these once I get the ingredients yum yum. I love these hand pies. They look so delicious and yummy. I am on a huge pie kick right now, these look amazing!! Would it be possible to make these empanada-style (like the peach hand pies) to up the filling? oh my, those look absolutely perfect! Nothing is prettier than hand pies. I better get going on these before rhubarb season is over! I made these yesterday for a birthday party I was going to. I added some strawberries and used 3/4 lb of rhubarb instead. I also have a cane allergy, so made them with palm sugar. Everyone raved. I snuck a few for myself to enjoy throughout this week, luckily. Great recipe, Deb! I am going to keep making these to practice my dough skills – my pies were more on the 3 inch side. I just can’t seem to get a grasp on rolling. Oh well…no complaints! This is why I love this blog. I came today because it is rhubarb season, and there is a new rhubarb recipe! I am going to visit my grandparents in Arizona in a few days and would like to make these to bring to them (I doubt they’ve ever had rhubarb, so it would be fun for them). Do you think these would survive about 6 hours of transit? Do you have any packaging advice? You don’t say whether they need to be refrigerated, so I’m assuming they don’t need to be! Just about to roll out my first batch. You make everything look so beautiful and easy! Wish me luck! Hannah: this filling is so delicious, I would use it like spoon fruit for home made yogurt. I have been wanting to try rhubarb for YEARS. This is the first recipe that I have come across that I think I would like. Thanks for a great recipe and step-by-step instructions. These are gorgeous and I bet they taste even better than they look. My husband loves rhubarb. I am going to try this soon! I have never cooked rhubarb before. I find it resembles celery too much and I can’t stand celery. But wow, these pies are so gorgeous. Kudos for having the patience to roll out all those little squares. Hi Deb! These look like heaven!!! 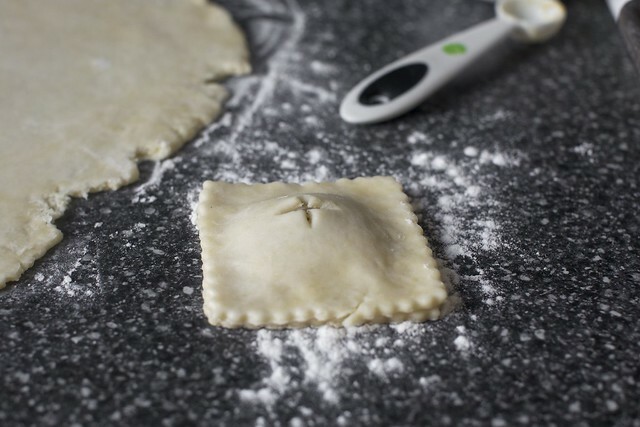 What tool did you use to get the wavy edges on the dough? Laura — My cutters were fluted, but you could do the same with a pastry cutter with a fluted edge. I’ve had something like this for years, and have used it a lot, for everything from pasta to doughs. Bree — Yes. I discuss this briefly in the recipe’s head notes. Cath — Plum would be delicious. Again, you just want to cook it a little to cook off some of its liquid and break down the plum a little. These don’t bake as long as full sized pies so having something at least semi-cooked going into the pockets is helpful. These look delicious – cannot wait to try them. Thanks! These look beautiful and delicious. Thanks! Deb, maybe I’m crazy, but I have this spicy-peachy-jam that my husband bought at the farmer’s market that goes great with cream cheese… would you cringe if I said I’m thinking about making these pies with that jam rather than a homemade fruit filling? Would that be just wrong?? And would spicy-sweet-cheesecake pies be too much? totally irrelevant to the recipe (which seems delicious, even for someone who has never had rhubarb – gasp! I know… Growing up in Greece, we didn’t see it much, and now that I live in Paris I keep missing the extremely small window of time you can find it at the farmer’s market….) but (yeah, I know, my parethesis was huge :p) I had to comment the new “You seem nice. But are you human?” feature!!! I love that you make us do math, instead of copying inexistent words in weird font!!! I hope you are having fun!!! dancing gal — Ha! Yes, I was getting assaulted with spam each morning in my new comment checks and existing spam-catchers weren’t working. I immensely dislike CAPTCHAs because I’m terrible at them — how can anyone read that gibberish? — so we are trying this out, as I am on vacation and was truly not hoping to spend 30 minutes a day deleting spam. I hope it’s not to mathy for mathphobes. I really angled for 1+1 but apparently, that’s too simple for the ‘bots. It also helps to move around the __ value. But we will see! Suzanne — Jam would be just wonderful. Welp, now I know what to do with all that rhubarb I picked up at the Farmer’s Market! I have little hand pie presses too! I made this recipe, and I am obsessed with it. Thank you. How about freezing after you’ve baked them? I already did this, so please tell me it will work out OK. The pastry is delicious, especially with the sugar topping. I would add a bit more sugar to the rhubarb, and maybe use a tad more fruit in each pie since I had no problem with leakage or handling, and I had a lot of rhubarb left over. I made these this weekend, and they turned out so delicious! A tip: I used a Post-It Note as a guide for cutting out the squares, and ended up with perfect little 3 inch pockets of rhubarby goodness. This was so very very very YUM! I omitted the cream cheese because I am a rhubarb purist. I added grated ginger to the stewed rhubarb, which sent it over the top! I am normally not a crust fan, but this was sensational, and I will use it again. The hand pies were so fun to make and eat. Thanks! I have made these twice now. The first time i followed your advice not to over fill, and i loved them! There is nothing better than this all-butter crust (I always take my trimmings and make tiny knots with a chocolate chip in the centre so I can have a tasty treat before the pie is ready). When I made them the second time, I wanted more filling. I didnt want to lick it off the parchment so I cut them into circles and slumped the bottoms in to a muffin tin then loaded those puppies up! I am torn which I like better. I am such a crust lover and eat with my eyes as much as my other eating and my seconds were not nearly as pretty and my firsts but had more zing from the rhubarb. Thanks for another amazing recipe and the opportunity to love cooking even more. I fear I will never make a full pie again. I made rhubarb-raspberry and they were delicious but I needed way more filling than the recipe called for (2x). I also made 30 – I guess mine were thinner – but they worked out beautifully. and I have never made pie before. I work at a 1930s living history site. While this isn’t exactly a period recipe, hand pies are a great period thing and we have rhubarb growing like nuts here in the farm house garden. I’m going to make these today – but with our homemade rendered hog lard instead of butter. You had me at “hand pies are for crust lovers”. I did a shortcake version of this -delicious but not suitable for a picnic (which I’ll pack if it ever stops raining here in Mpls – I feel your pain, Seattle). Going out to find some rhubarb now! I love these! My mum used to make something called jam tarts with left over pie crust. She would put a bit of jam in small pieces of crust, fold over and bake. I always loved those as much as the pie itself. Thanks for this recipe, I’m inspired! Any suggestions on how to do this without eggs? I’m not sure how to get dough to stick together without them, since it’s still a new restriction for me. I normally only comment after I’ve made something but I couldn’t resist! This looks so perfect. I’d love to mix in some strawberries as well. Fingers crossed that my dough won’t disappoint/discourage me! I have been CRAVING rhubarb lately. I have yet to hit a market to get any, but I plan on hitting a local Farmer’s Market Friday. Hopefully I can find some rhubarb. This will be the first recipe I try. They look and sound scrumptious! These look divine! I wish I could eat them… But I have been crazy about baking with rhubarb since I made a rhubarb pie for my family last year. It just smells so delicious! I can’t wait to make these. Kind of like the gourmet Pop Tarts! This is the perfect way to use up my frozen rhubarb! I might use a combination of fresh strawberries and the frozen rhubarb (I hope they are still okay as they are from last year). I agree with some of the other commenters, I used ~half of the cheese and rhubarb filling and ended up with about 20 pies. They are really good, but the amount of cheese and rhubarb in the pies is tiny so the taste is mainly pie crust (which I love!). But if you want the cream cheese and rhubarb to shine I would make a rhubarb cheesecake. The left over cream cheese is great as a dessert on its own if you pop it in the oven. And the rhubarb filling is amazing on top of plain yogurt. 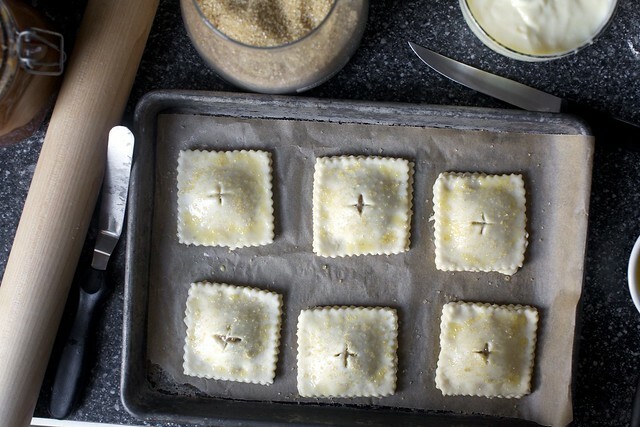 Oooh Deb, I can’t wait to make these – I’ve had hand pies on my mind with the warm weather finally arriving. I’m so curious, what pastry blender do you have that allows you to tackle whole sticks of cold butter? The handle is breaking on my traditional one, so I’m due for a replacement anyway …..
Anne — I have the OXO one but I can’t promise it will work (it’s not exactly an OXO-approved use). In general, I prefer ones with knife-like sturdy blades over wires. Yes! Hand pies have been on my mind for weeks now. If only I could get my hands on some rhubarb! Oh I love rhubarb, and these hand pies look absolutely amazing! Thanks for all the great leftover ides! I mixed the cream cheese into a chocolate cake as someone suggested, and it’s delicious. Deb, I will probably go with more pies for the leftover fruit (now froze), just need to work up the motivation to make some more crust. Need to buy a mixer! And for those wondering about the addition of strawberries, I did approximately 1/3 strawberry to 2/3 rhubarb and it was amazing. Any that’s left after the next round of pies will probably be eaten straight, it’s that good. Your picture shows a whole egg being mixed in to what appears to be the cheese cake filling, not just one yolk. Can/should you use the whole egg? A non — That photo is from an audition round. As I scaled down the recipe (I, too, had a ton of extra filling) the full egg was no longer needed. Just finished a batch of these lovelies, and I actually found the dough to be a cinch to roll out, straight from the fridge – I love when that happens! Do-ahead question – if you were going to freeze these, would you do it before baking, and then pop them in frozen? And how long do you think they’ll keep in an airtight container, after baking? These look amazing! I’d like to make them with strawberries AND rhubarb for Father’s Day. I’ve had great success with your strawberry-rhurbarb pie recipe… do you think adding tapioca, as you do in your pie recipe, would be a good move? Or should cooking down a strawberry/rhubarb/sugar mix do the trick? Anna — I don’t think it will be necessary. Generally you need a bit of thickener OR some precooking to evaporate some of the juices. These went into end of school lunch boxes and were a hit. I’m looking forward to trying them with other fruits as they roll in. Other pre-schooler airplane tricks; silly putty, wikkistix, stickers, band aids and ear plugs to hand out to adults if necessary. I’ve only ever had one single male traveller accept a set, but the offer seems to buy some goodwill. Ever tried a curry puff before? In Malaysia, it’s pretty popular but most sellers use packaged puff pastry, although they’d cook their own curry filling. It’s a hobby to go around and all the different variations. Reckon it’d make a great curry hand pie: a chicken and potato curry, not too wet. We’re doing a potluck next week at work and when I saw this I knew it was going to be my contribution. Did a test batch today using blackberries since that’s what I had on hand and yum, so tasty. My roommates were like ooo are you making poptarts again (your fault =P) and we devoured them. Made these yesterday with strawberries from our garden and it was fantastic!!! Served them with a side of lemon cream ice cream–was really good! Extra rhubarb is great in Greek yogurt or warmed on ice cream too! Another Debsation recipe! Yum. 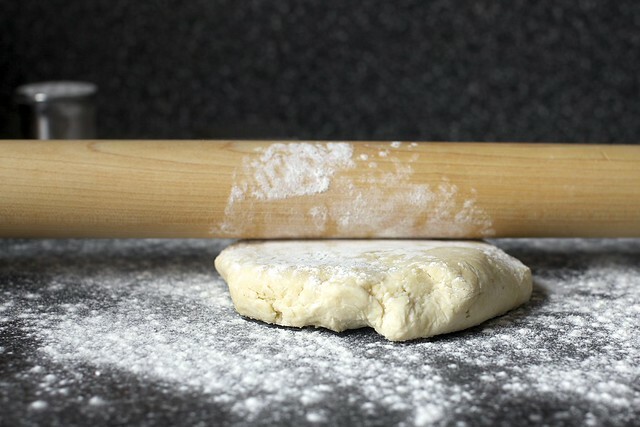 Your pie dough looks so light and flaky. These little pies sound absolutely delicious! I have a bunch of chopped Rhubarb in the fridge looking for a new recipe. I think this might be it!! My 14 Jars of jam, 2 Rhubarb Crisps, and 2 batches of Rhubarb Muffins, still have not exhausted my supply. This might help me get closer! I’ve made these twice now and they came out a bit differently. The first time the dough puffed up a lot and it looked like your pictures. The second time they did not puff up. What was the difference and what should I do next time to get them puffier? Also, they got a bit stale very quickly. What are your suggestions for storage to keep them fresh? They were delicious both ways and even a little stale. Thank you for this recipe! This will make the missus very happy. Not a big fan of rhubarb myself, but these just look too cool to not try. Thanks! Ooo, I can’t wait to try this recipe at home! It looks like my grandmother’s recipe for cheese pies. Wow these look AMAZING, I love rhubarb, it’s always been one of my favourites since childhood and this recipe looks very tempting indeed. I will definitely be giving it a go! I LOVE rhubarb and this looks soooo good! These look amazing. The top was so puffy looking that it looked like puff pastry! 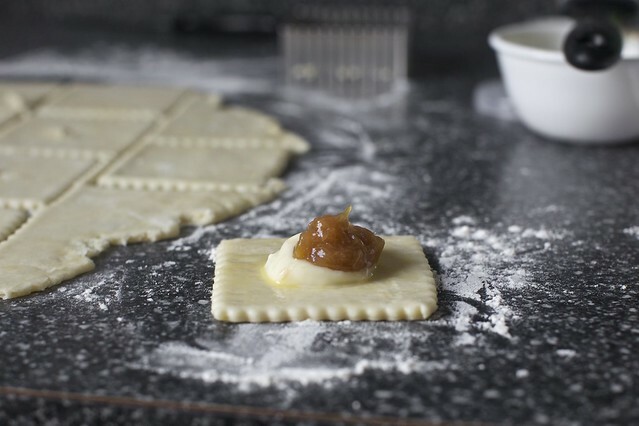 I wonder if this would work with a combo of pie crust and puff pastry, just to be able to easily make even more of them! Oh, good, another rhubarb recipe for my Pinterest board. I was just given a huge batch of rhubarb and am ready to start cooking. 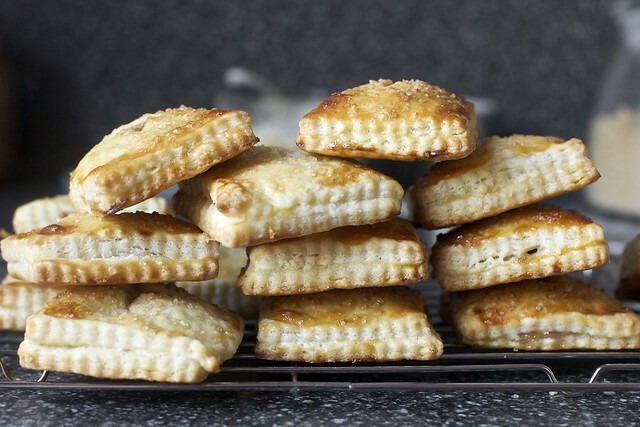 Your Rhubarb Cream Cheese Hand Pies sound wonderful! I make a lot of rhubarb pie, and have loved switching to grating the frozen butter like I read about on your site. Much more impressive crust. I was hoping that trying these would allow me to change up my repertoire a bit, but they ended up feeling really really fussy. They certainly are impressive looking, and they turned out well, but they took forever, had so many steps (the cream cheese ended up feeling pretty uneccessary, and I only used half of it, even though I got 24 out of the dough, like many other commenters), and pretty much ended up being rhubarb pie in tiny form. Not nearly as satisfying as a nice big slice. Oh well. I made these over the weekend using the last of the season’s rhubarb. Making the dough and rhubarb mush the day before, and then assembling the pies the next day made it seem like less of a process. I left out the cream cheese and added more sugar to the rhubarb, and they were SO GOOD. I believe my husband and I ate about 5 per day (each!) until they were all gone. We took them picnicking and in our carry on luggage, too. Thanks for a very tasty recipe! These were a huge hit at the first gathering of summer. I cut the rhubarb amount in half in order to add the fresh picked strawberries of the day. Delicious. Your recipes are always a great success and receive many compliments. I just literally put away about six pounds of rhubarb in my freezer. It was insanely inexpensive, and I couldn’t bear leaving it in the store. It will likely be gracing this recipe in the winter when I’m bored to tears with root vegetables. Bless you! How long did these pies keep for and did you leave them out or refrigerate until ready to eat? Deb, the pies are wonderful. I’m in the middle of baking a bunch containing a mix of berries and just tried the first, still warm, bite: delicious. Only problem that made me furious: my cream cheese filling turned out rather liquid – impossible to keep it from running away – even after adding more cream cheese and although I used a rather small egg yolk. What could be the problem? Could European cream cheese really be that different…? Thank you for your help! Oona — I have definitely heard that European cream cheese is not the same. Not a bad thing, necessarily. Did the cream cheese run when you were trying to assemble them or after the pies baked? If before, just keep it cold (so it’s firmer) as you need to scoop spoonfuls onto the dough, so they’ll mound more. I just made these with blueberry pie filling (which I cooked as if I was going to can it to make it nice and mushy per your instruction). Next time I make these I’ll double the dough recipe. I had plenty of both fillings left over, and once you’re pastry cutting and chilling and rolling and all that jazz, you might as well go all out! Perfect use for “simple” dinner Pre-theatre with friends featuring stuff I needed to use before it died in the fridge. These were stunning to look at and some took them to the theatre as an intermission treat. It’s also a perfect host gift . Can’t wait to try with other fruit combinations or as a savory. Thank you, Deb. The cream cheese was runny when I assembled the pies. Or tried to… I kept the filling in the freezer for quite a while but that didn’t really help either. In the end the pies didn’t taste too much like cream cheese, but were deliciously fruity. Next time I’ll try to leave away the lemon juice and use more zest instead or maybe, even better, add some curd cheese (German “quark”) to make it firmer. We use it to make cheesecake, too. So that might help. Thanks again! Oona — Yes, definitely feel free to use quark. Slightly different flavor profile but would also be delicious and I know it’s readily available where you are. Made these for my husband’s work party. Unbelievable. The cream cheese filling makes it. Made some with store bought puff pastry and most with the pastry recipe here. DEFINITELY use Deb’s pastry recipe they were to die for (the puff pastry versions were merely good). Have been eating left over rhubarb filling in my yogurt all weekend. YUM! It had – shrimp, ham, turkey, lemon, meatballs, beets, dill, mayonnaise, crème fraîche (or another soft dairy cheese), tomato, cucumber, bread, and butter. And there may have been salmon in there, too. Do you think these would freeze ok? I’d love to make a batch but will never get thru them! ignore me, I just searched the page for “freeze” and see this has been answered. Yippeeee!! 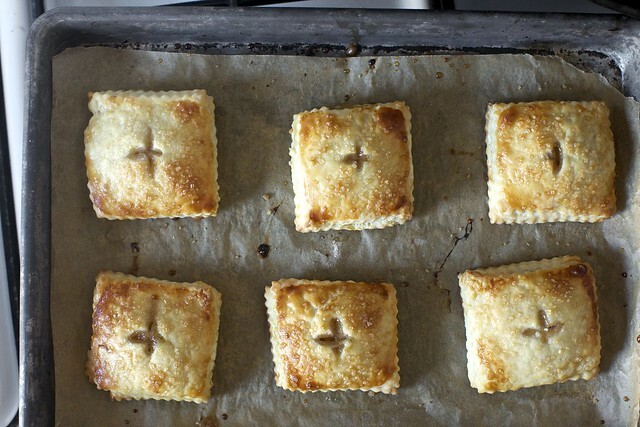 The hubs has just pointed to the image of these lovely hand pies with wide eyes… they are going on our summer dessert list (alas, we still have a few months, currently mid-winter here in Sydney). Thanks for such a lovely recipe– cheesecake and fruit pie in one portable concept: awesome. I made a batch of these tonight, now that I’ve found rhubarb on sale. They were by far one of the most delicious things I’ve ever baked! I’m normally not a fan of fruit as a dessert, but these were so flaky, buttery and tart that I didn’t miss the chocolate. Also, this is my new go-to pie crust dough! I couldn’t believe the layers I saw when I pulled a hand pie apart! Thank you so much for your delicious pie crust recipe! I used it to make some mango hand pies and got phenomenal reviews from my coworkers. One nurse even told me that the crust tasted just like her grandmother used to make- a pretty high compliment in my book! These look delicious. I never know what to do with rhubarb, but now I can’t wait to try these. Thanks for this recipe!!!! you have suggested freezing hand pies unbaked — have you successfully tried this yet (or heard from any of your fans that have)? I am worried about the uncooked fruit releasing water when baked. I want to preserve the fresh peaches of summer, but wondering if the fruit needs to be cooked before freezing in the unbaked pastry (not that roasted peaches are a bad thing)…? Michele — I have done it and it’s fine. They might release water slightly sooner (i.e. when they defrost instead of baking) but they were going to anyway in the oven. Came back to say I used the crust recipe for an apple pie and the result was phenomenal! Thanks so much! Sorry if this was already addressed, but what are your thoughts on combining your peach bourbon filling with this recipe? And why cook the fruit if there is not a need to in that hand pie recipe? Btw – I am a major fan. Jenn — I am sure the peach bourbon filling would be good here. The rhubarb is cooked because it’s especially water and it helps to get some of that out before it sogs the pies. It also allows the rhubarb to be small and smooth enough (it’s hard when it’s fresh) to fit in teaspoon-sized scoops. There’s never a harm in pre-cooking pie fillings to reduce liquid. As for the peaches, it might not be a bad idea here, either, as, again, it’s such a tiny spoonful that fits, it will be easier if the peaches are soft and scoopable. Heavenly!!! Thanks for this, it seems like these little squares of deliciousness go over bigger than any other dessert everywhere. And they transport so easily! Pulled pastry, rhubarb, and cream cheese from the freezer last week to make a half dozen for someone. When they were out of the oven, I made a deformed one from scraps, my husband (a savory eater) said ” I don’t know if I can wait for these to cool.” I told them they weren’t for him but he could have the deformed one. He ate it and insisted that the others weren’t leaving the house. They did and I promised him I would make a batch for him. I had another round of pastry in the freezer and made a half dozen yesterday with the remaining rhubarb and cream cheese. I ran out so grabbed some cream cheese frosting from the fridge and used it with some cherry preserves. They are all gone. And they are crazy picture perfect! I am so sad – my rhubarb stuck to the bottom of the pot and the whole house stinks like burned rhubarb :( I’ll have to try again tomorrow, since the crust is already done! LOVED this pastry recipe!! I think this is the best pastry I have ever made. Husband told me to never make them again because they are too good! Can these be left out at room temperature for several days with the cream cheese? Cathy — I refrigerate it for that reason. This is my favorite recipe to use with wild blueberries we pick upstate. I don’t cook them. Add about 1/3 cup sugar to about 5 cups berries (it is going to be sweet enough with the cream cheese layer; you don’t want to overwhelm the berries with too much sugar), 2 tsp corn starch, some lemon zest. I also add lemon zest to the dough. I cram in a lot of berries into each pastry. I like them surrounded by little pools jammy goodness. Unbaked, they freeze beautifully. What comes out of the oven, is blueberry paradise: flaky, fragrant pastry wrapped around rich, gooey, sweetly tart feeling. It is one of the best things in my baking repertoire. Thank you, Deb, for this! i hate to ask a question which might have been answered earlier but i’m sneaking a peek at work…can i use the filling you have for strawberry/rhubarb pie here instead? i love the idea of bringing hand pies to work but want to use strawberries. thanks so much. I am sure this has been asked and answered, would these freeze well? Amy — I would expect them to, baked or unbaked. Just made a batch of these up with a couple of slight variations in the filling and they are awesome. Cooking the rhubarb up was the perfect solution to the moisture problem. I switched the sugar for maple syrup, lemon juice and added a bit of cinnamon and a few scrapings of fresh nutmeg. The ‘excess’ filling doubles as a wonderful topping for ice cream. I have plans in mind for other fillings for this ideal sturdy yet flakey pastry dough: nutella comes to mind. First of all, thank you for all of the work you do! Your blog and cookbook have been such an inspiration to me as a home baker. Secondly, I am making a variation of these hand pies for a friend’s wedding and I want to freeze them in advance (and saw that you suggested freezing before baking in a previous comment). My question is whether the egg wash should wait until it’s time to bake or if I can freeze that too? I would just wait, but it’s so easy to do beforehand because I’m already using the egg wash for the assembly and I would also like to minimize all work on the day of. Thanks! Gina — I usually wait until I’m going to bake them for maximum gloss/color, which is really what the egg is for. And thank you! Could this filling be made in a standard sized pie? 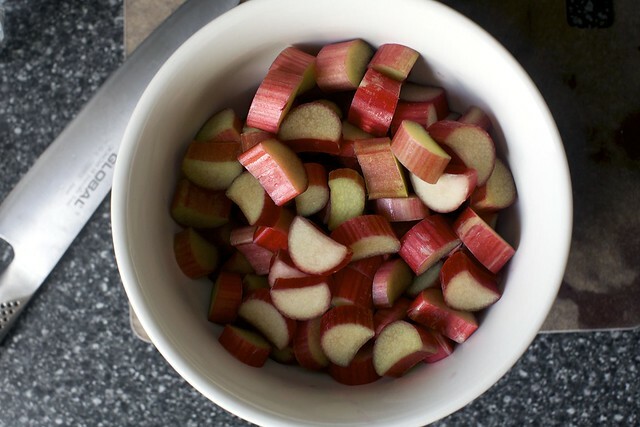 This is my favorite rhubarb recipe of all time. Some of the folks here, sadly, cannot eat eggs with uncomfortable repercussions. I’m thinking of just brushing them with a bit of whole milk for help with the Maillard reaction, what do you think? Parsley — Absolutely, milk or cream. The egg is really just about gloss; has no effect on final taste. Yes and no. The proportions wouldn’t be right, the flavors would be fine. If you want to make a giant hand pie (I love this idea, btw) on a sheet pan, you could use this. But for a classic pie, I’d use my own pie crust (it’s slightly more firm) and probably at least double the filling here (hand pies use a lot more crust and less filling than standard pies) to get it right. I’d personally do the latter. If you have time to leave them in the fridge for a few hours before baking them, that works too. Made these tonight. They are good. However, the lemon in the cream cheese mixture is overpowering the rhubarb. If you love rhubarb (like I do! ), you may be disappointed that it’s not as “rhubarbie” as hoped. I would make them again with only the fruit. Or perhaps just omit the lemon portion of the cream cheese filling. Thanks! I made these (albeit with a precooked sour cherry filling rather than rhubarb/cream cheese). While it required quite a bit of work, they were excellent. The pastry is very flakey and the layers are very apparent, even without laminating the dough. I used the full cup of “buttermilk” (milk curdled with lemon juice), plus a few extra tablespoons of water to get it to come together. I also used lemon zest since that’s what I had on hand and felt it would work well with the cherry filling as well. You definitely need to freeze the dough between most steps to prevent it from becoming too soft to work with, so make room in your freezer beforehand. I started with 2.75″ squares, but 3″ squares were easier to handle making a grid to cut and having enough room for filling. I probably used a heaping teaspoon/half a tablespoon in each square. I think partially freezing the cherry filling would be a good idea so it didn’t squish out when sealing the ravioli (using a fork). I baked closer to 22 minutes (at least) to achieve a nice light brown/golden color. I froze a few after assembly, I think they’ll bake well if I let them warm up a bit (I’ll add the egg wash/sugar before the oven). Highly recommend these, excellent for parties, no plates/forks required. What pastry blender do you use? Mine is wimpy, and I need a new one. Thanks! I’ve been using the OXO one for years. I made these with a triple berry filling instead of rhubarb and they were fantastic! I would recommend freezing the pies for a few minutes once assembled before you put them in the oven. Keeping the filling very cold helped keep the filling inside the pies. Do you think these could be made ahead of time and frozen? If so, would you cook them first or prep and freeze? I’d think you could do everything but bake them and then freeze them. Maybe pop them in the fridge for half a day, or at room temperature for a little while, before baking them. Egg wash right before you bake them. These are worth the fuss! For ease of serving and consuming, works way better than a conventional pie for a potluck or buffet. I wanted rhubarb to be the star and skipped the cream cheese. I don’t like super sweet desserts, but the amount in the rhubarb seemed low and I increased to mounded 1/2 cup per lb of rhubarb. Used a scant half-tablespoon of rhubarb filling. Heed the advice to (1) not overfill and (2) be ready to use your freezer. As I assembled, I returned the little squares and half-assembled pies to the freezer for a few minutes several times. I cut out a 3″ strip of heavy paper to measure uniform squares with a pizza cutter. I re-rolled scraps and those pies were still flaky. I yielded 24 pies. I’m not a pastry dough wiz, but I didn’t rush the assembly and these turned out great. As usual with SK recipes, the little extra something makes the difference. In this case, the orange zest in the crust is key. Don’t skip that and be liberal with the chunky sugar on the top. The orange and the sugar make the pastry tasty given the scant amount of filling. Hi Deb! I’m a huge fan! Today I made these while procrasti-baking (that is, baking to avoid studying for the bar exam). They turned out even better than I expected. My question is this- do you think I could freeze these pre-bake, but already filled and sealed? Or am I better off freezing post-bake? I actually like freezing them pre-baking, too. Did you realize that the picture for the cream cheese filling has a entire egg in it but the recipe calls for just a yolk.? I love your recipes so much and I just bought both your cookbooks! First, thank you. Second, yes, I think I ended up with too much filling by far that time. When I scaled it down, it only needed “half” (I just use the yolk) the egg for the final cream cheese amount. Made a half batch and froze the lot before baking on a baking sheet. You can then stash them in a bag in the freezer and bake them off as needed. They only require a couple more minutes in the oven. Excellent crust and technique. Used some sweet cherries in the freezer that I halved and cooked for the filling, which I then topped with a sprinkling of bittersweet chopped chocolate. Yum! Anxious to try other fruit combinations.